Drew Pomeranz wins his seventh straight decision, and Mitch Moreland and Eduardo Nunez hit home runs. CLEVELAND — Mitch Moreland hit a fifth-inning home run, Drew Pomeranz and three relievers bested Corey Kluber, and the Boston Red Sox defeated the Cleveland Indians 6-1 on Wednesday night. Moreland homered to right on a 1-0 pitch from Kluber (12-4), who allowed two runs over 7 2/3 innings. Mookie Betts’ RBI single with two outs in the eighth ended the night for Cleveland’s ace, who allowed four hits and struck out 12 – the 13th time this season he’s reached double figures in strikeouts. Four pitchers held Cleveland’s injury-depleted lineup to three hits, a night after Doug Fister pitched a one-hitter. Edwin Encarnacion hit a two-out homer in the eighth off Addison Reed. Pomeranz (13-4) gave up two hits and struck out nine in 5 1/3 innings in winning his seventh straight decision. Eduardo Nunez hit a two-run homer off Bryan Shaw in the ninth, when Boston scored four runs. Jay Bruce beat out an infield hit in the second and Brandon Guyer singled in the fourth for Cleveland’s other hits. Kluber and Pomeranz both left their starts on Friday with injuries, but completed bullpen sessions earlier in the week. Kluber was removed in the sixth inning against Kansas City because of a sprained right ankle. 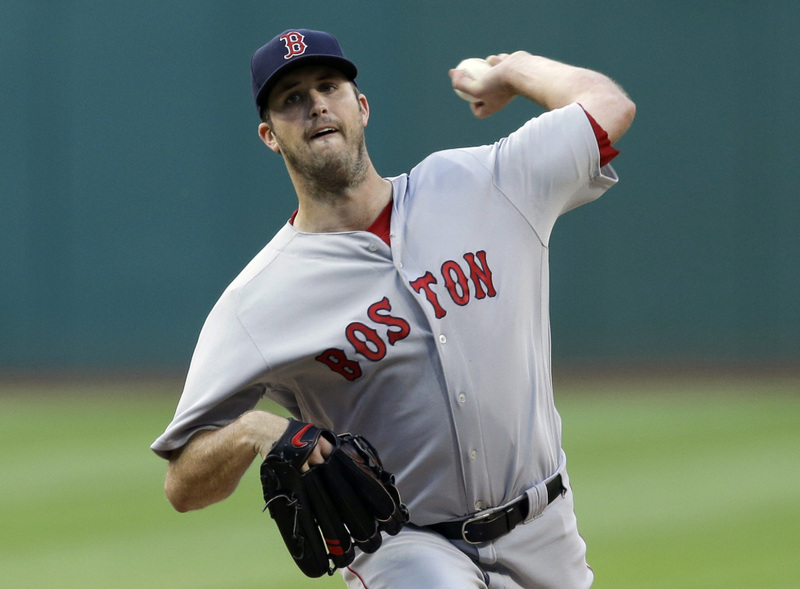 Pomeranz left against the New York Yankees in the fourth because of back spasms. Kluber didn’t allow a baserunner until Nunez’s infield hit to lead off the fourth. 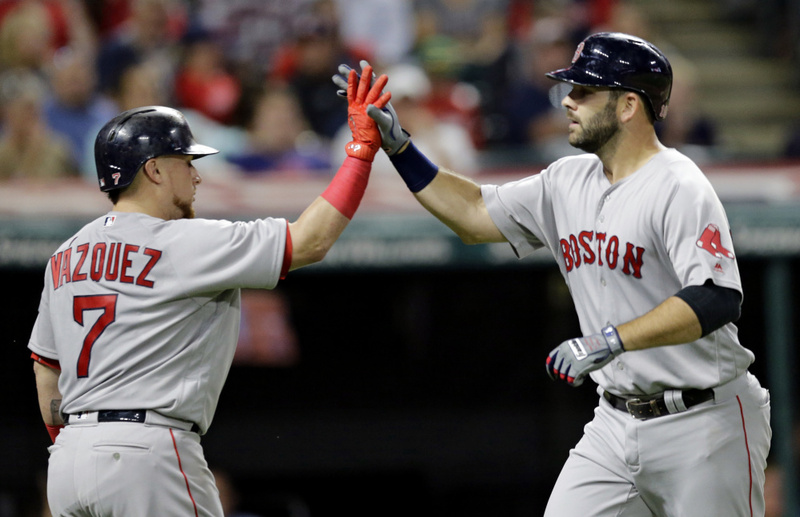 The right-hander struck out the next three hitters and got the first two outs in the fifth before Moreland hit his 15th home run. Kluber struck out the first two hitters in the eighth and has 208 this season, the fourth straight year he’s reached the 200 mark. Brock Holt drew a two-out walk in the eighth and Nunez was hit by a pitch. Betts singled past third baseman Giovanny Urshela for a 2-0 lead. The Indians placed second baseman Jason Kipnis on the 10-day disabled list for the second time since early July while first baseman Carlos Santana missed his second straight game with back tightness. Red Sox outfielder Jackie Bradley Jr. was placed on the 10-day disabled list with a sprained left thumb.